Police used a stolen cellphone to track down and arrest an 18-year-old gunman and his 55-year-old getaway driver suspected of committing two robberies within an hour of each other in Kearny Mesa and Grantville. The San Diego Police Department said both were arrested Tuesday night in the San Carlos area near the foot of Cowles Mountain after police tracked them using a phone taken during the last robbery. The 18-year-old pulled off his first heist about 5:50 p.m. Tuesday at the Subway restaurant at 7710 Balboa Avenue in Kearny Mesa, San Diego police officer John Buttle said. After standing outside the eatery for about five minutes, he pulled up the hood on his sweatshirt, walked into the sandwich shop, pulled out a gun and demanded money. The victim handed over an undisclosed amount of cash and the suspect left the restaurant and got into a silver or gray four-door sedan, which then headed north on Ruffin Road, SDPD Lt. Steve Behrendt said. About 30 minutes later, a suspect matching the Subway robber’s description went into Rolbertos taco shop at 3755 Murphy Canyon Road, about three miles from where the Subway was held up, Behrendt said. “He walked in, racked a round in the handgun and then left the business without making any demands,” the lieutenant said. Then just before 7 p.m., the same suspect walked into Burritos Santana in the 10400 block of San Diego Mission Road in Grantville, about three miles from the first taco shop, and ordered everyone to the ground, Buttle said. Employees and customers complied with the robber’s demands. Officers were able to track that phone until they found a car matching the description of the silver sedan on Waring Road approaching Navajo Road, about six miles from the last robbery, Behrendt said. 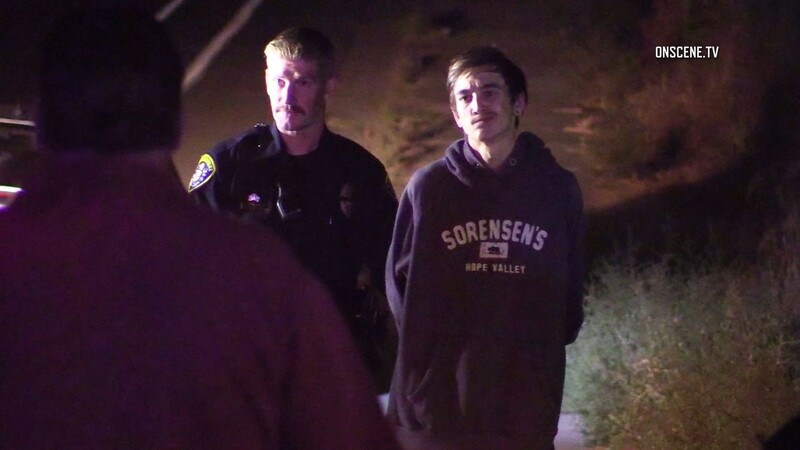 Police pulled the car over a few blocks later at Navajo Road and Golfcrest Drive and arrested the 55- year-old driver and 18-year-old passenger. The nature of their relationship was not disclosed. “The suspect … has been positively (identified) in the two robberies and the one attempted robbery,” Behrendt said. Witnesses were unable to identify the driver, but police “confirmed (him) as driving” the getaway vehicle, Behrendt said. Robbery detectives searched the car and recovered the stolen purse and cellphone and a gun matching the description of the one used during both heists and the attempted robbery.